Chairs are key to classic furniture and design, meeting criteria of comfort and durability as well as being visually attractive. In Andrea Fanfani's furniture, the shape of the seat and backrest make the furniture easy to place within an artistic history. Andrea Fanfani's classic Italian chairs reflect a wide variety of styles featured in Europe's most sumptuous courts between the 17th and 19th centuries, including solid wood chairs covered in velvet or damask, sumptuous armchairs, classic chairs in cabriolet style, chairs with cabriole or lion paw feet. They stand out for their level of sophistication that makes them decor elements in their own right, lending any room an air of great elegance. The meticulous artisan craftsmanship and use of fine materials create a classic Italian chair of uncommon sophistication. In the study or the dining room, the most refined tables should be surrounded with classic Italian chairs conveying elegance to create a harmonious, opulent composition that gives the impression of always sitting in the center of the room. 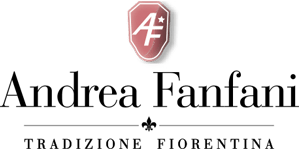 Andrea Fanfani's classic chairs are a perfect marriage of beauty and practicality, resulting in extremely comfortable chairs. Master artisans with extensive experience make our classic Italian armchairs inspired by the finest styles in the history of art. Attention to detail renders our classic armchairs enchanting pieces that add beauty wherever they go. The use of high-quality materials, solid wood playing the key role, means these reliable armchairs stand the test of time. Invaluable inlays and gold leaf applications give the wood enchanting arabesque shapes. Soft upholstered padding makes the chairs so comfortable they become like proper armchairs. Choose your preferred finish from an extensive selection of upholstery, including velvet, damask, gold thread fabric, satin, and grosgrain. Choosing to upholster your chair with customized fabrics gives it personality, making it independent so it can add to a room's decor even without a table.